Like store-bought V8 Juice? 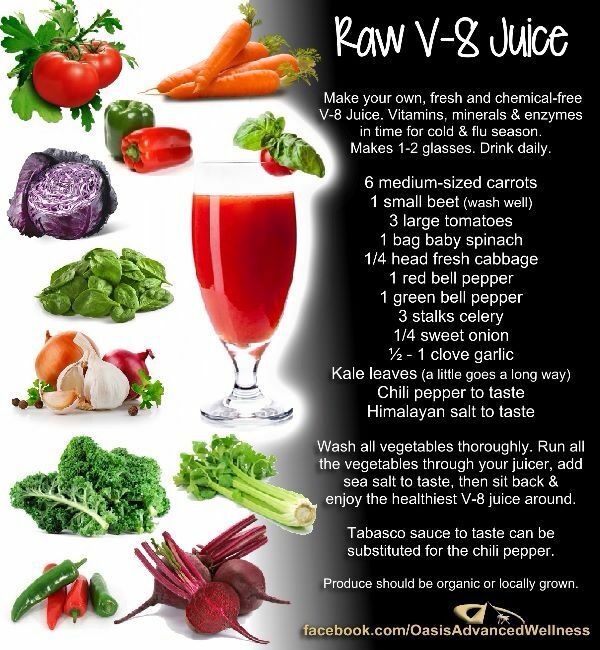 Now you can make your own, fresh and chemical-free, PLUS get the benefits of all the vitamins, minerals and enzymes! ENJOY! Wash all vegetables thoroughly. Run all the vegetables through your juicer, add Himalayan salt to taste. Pour into glass — sit back and enjoy the healthiest V-8 juice around. NOTE: Tabasco sauce to taste can be substituted for the chili pepper.